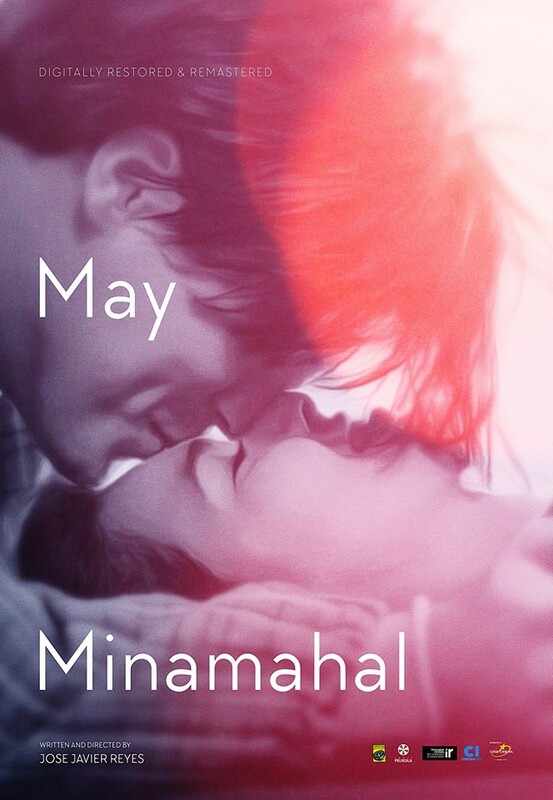 ABS-CBN Film Restoration group and Powerplant Cinemas once again team up to bring moviegoers back in time in the special weeklong exhibition of digitally restored and remastered films in the 4th “REELive the Classics” which formally opened on February 18, 2018 (Sunday) with the red carpet premiere of '90s classic film, May Minamahal. Produced in 1993, the Aga Muhlach and Aiko Meledez starrer film revolves around the love story of happy-go-lucky Monica (Aiko Melendez), who grew up as the only girl in a crowd of boys, and Carlitos (Aga Muhlach), who found himself the head of the household of all girls after his father unexpectedly died. 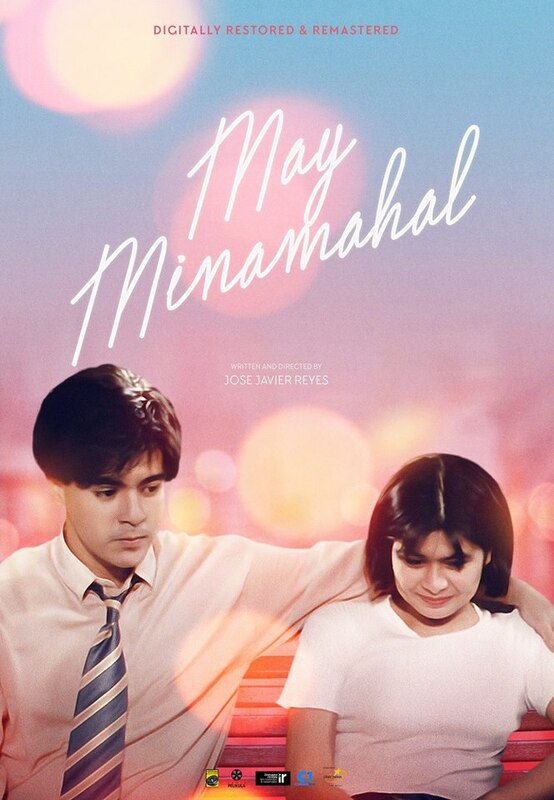 CAST: Aga Muhlach, Aiko Melendez, Agot Isidro, Boots Anson-Roa, Claudine Barretto, Nikka Valencia, Ronaldo Valdez, John Estrada, Bimbo Bautista, Aljon Gimenez, Ramil Rodriguez, Liza Lorena, Marita Zobel, Patrick Riego de Dios and Ogie Diaz. Aside from the Joey Reyes directed film, REELive the Classics will also feature Sana Maulit Muli, Ikaw Ay Akin, Karma, Langis at Tubig, Kung Mangarap Ka’t Magising, Moral, and Labs Kita Okey Ka Lang. 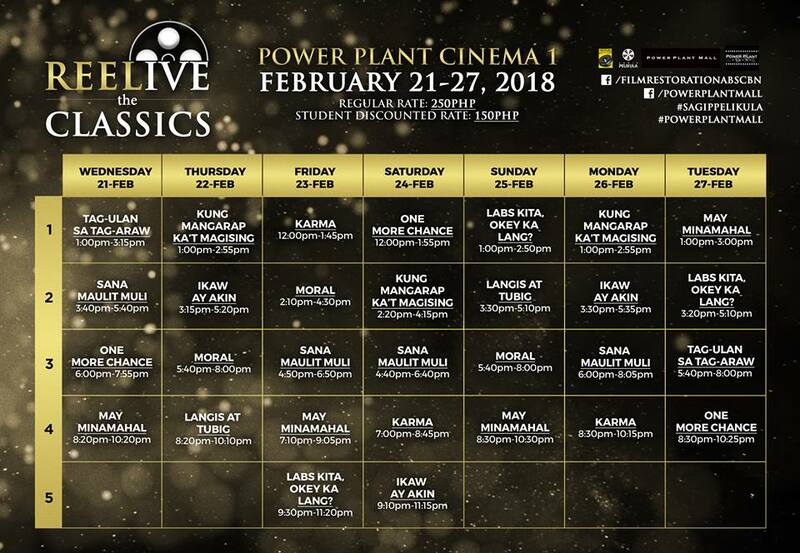 REELive the Classics is part of ABS-CBN Film Restoration groups’s advocacy dubbed as “Sagip Pelikula,” which aims to preserve Philippine cinematic legacy by locally restoring classic Filipino films and make it available to the general public via different platforms. 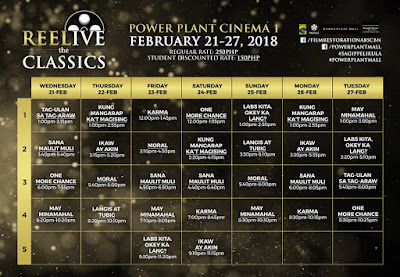 Don’t miss the chance to watch these digitally restored films, head out to Powerplant Mall to watch these digitally restored and remastered films from Wednesday (Feb 21) to Tuesday (Feb 27). Tickets cost P250, with a discounted rate of P150 for students. 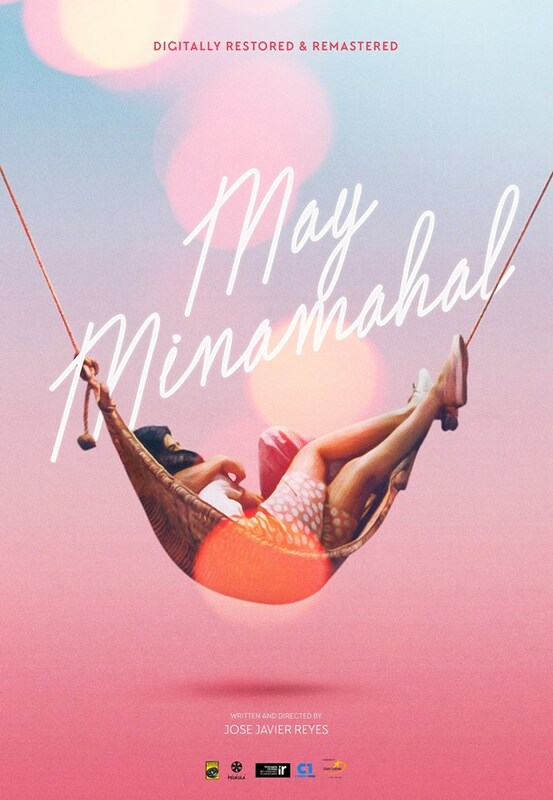 For the full schedule, visit www.facebook.com/filmrestorationabscbn on Facebook.